1. From the Dashboard, click on Orders on the left-hand side of the page. 2. 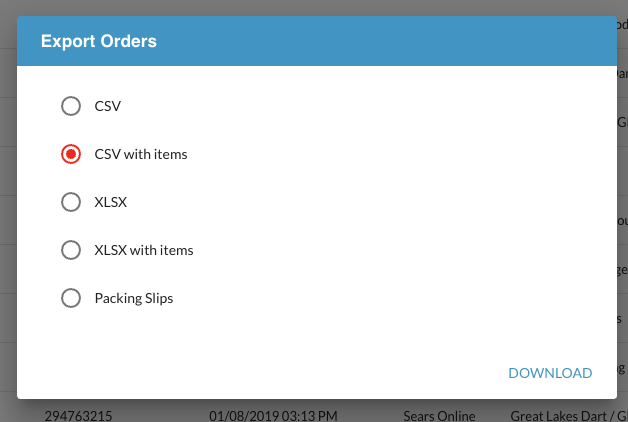 You are able to View an order or select an action to take from the Actions drop-down menu. 3. You may also take bulk actions on orders such as Accept/Reject, Ship/Cancel, Invoice, or Export. 4. The Export feature will allow you to export order data ad hoc and to export it in the format you prefer (CSV, XLSX, etc.). You are also able to export Packing Slips in bulk using this feature.